God originally chose the Jews, through whom He planned to save and bless the entire world. But all who believe in Him today—Jews and Gentiles—are vessels in which He wants to share His hope. When we ask Jesus to be our Savior, the new life He gives us is our pure offering to Him. How does God want to use you to make His name great among the nations? His mission begins in our homes and neighborhoods. But we must also work and pray for God’s mission worldwide. God didn’t mince words as He spoke through his prophet in the Old Testament book of Malachi. How does this message relate to us today? Listen as Pastor Cliff Purcell shares the Word of God: Remember. Return. Rehearse. (Sept. 23, 2018). 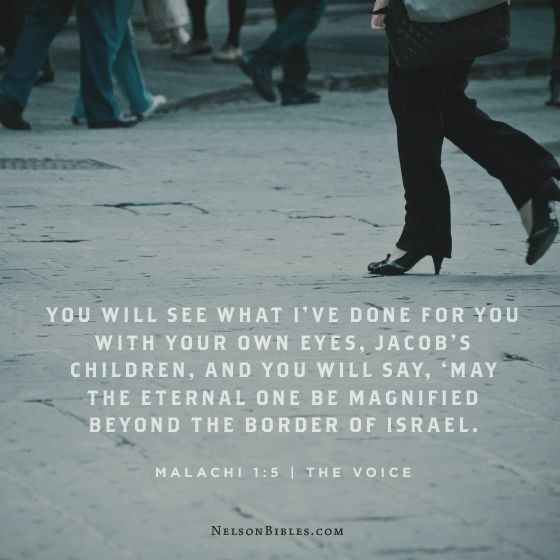 This entry was tagged Christianity, how can I make God's name great among the nations?, How does God want to use you?, How does the book of Malachi relate to Christians today?, Pastor Cliff Purcell: Remember. Return. Rehearse. (Malachi 1), what was God's plan for the Jews?, where does God's mission begin?, who are God's chosen people today?, who does God want to use today?, Why did God choose Israel as His chosen nation?, why did God choose Jacob over Esau?. Bookmark the permalink.